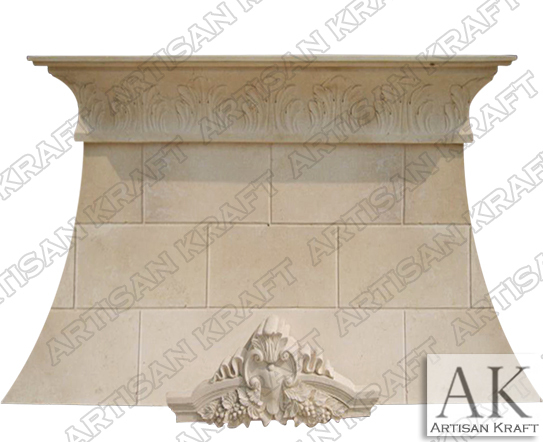 Westport limestone kitchen vent fan hood cover has blocks on the central part of the hood. The crown at the top has a decorative design. The other decorative feature is the carved medallion in the center. This stove vent cover does come with corbels and those can be ordered in different sizes.